The ISIS terror group captured SA-16 Manpads, AIM-9 Sidewinder missiles and MiG-21B jets to their arsenal after the capture of the Raqqa airbase in Syria this week. 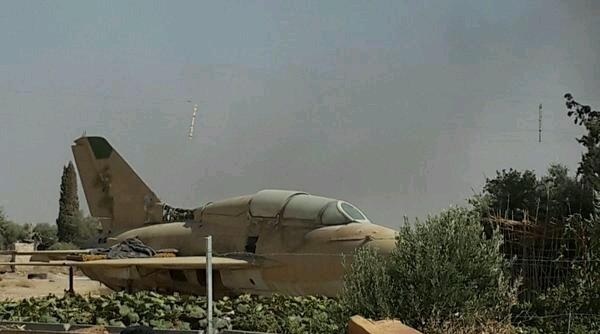 ISIS added MiG-21B jets to their arsenal. 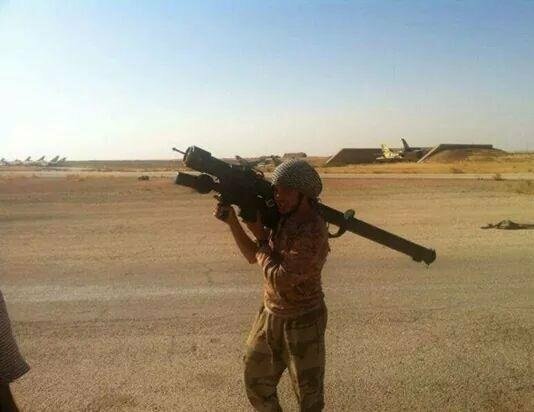 The terror group also collected several SA-16 Manpads. This missile feattures a new seeker and modified launcher nose cover. The AIM-9 Sidewinder missile is a short-range air-to-air missile. The majority of Sidewinder variants utilize infrared homing for guidance. 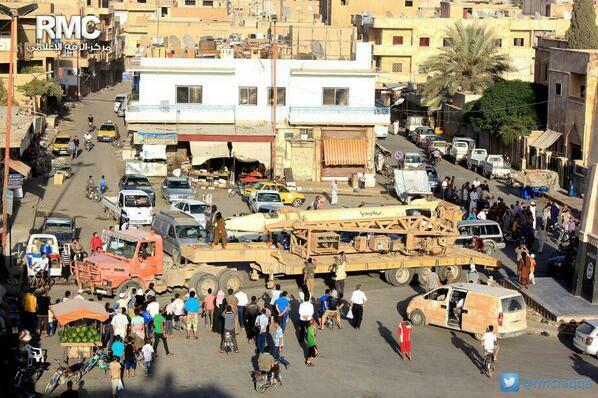 ISIS terrorists showed off a captured SCUD missile in Raqqa, Syria in June. 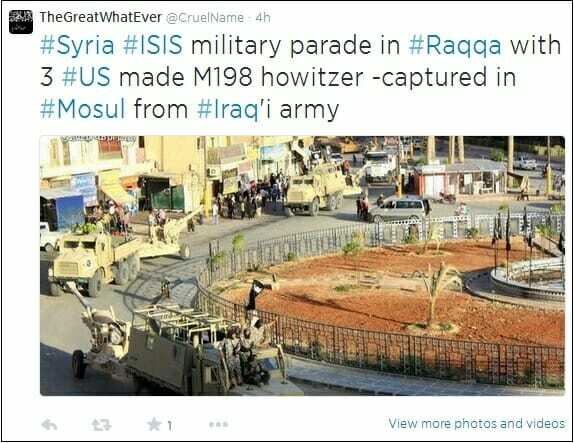 And here, according to ISIS, is a captured US made M198 howitzer. 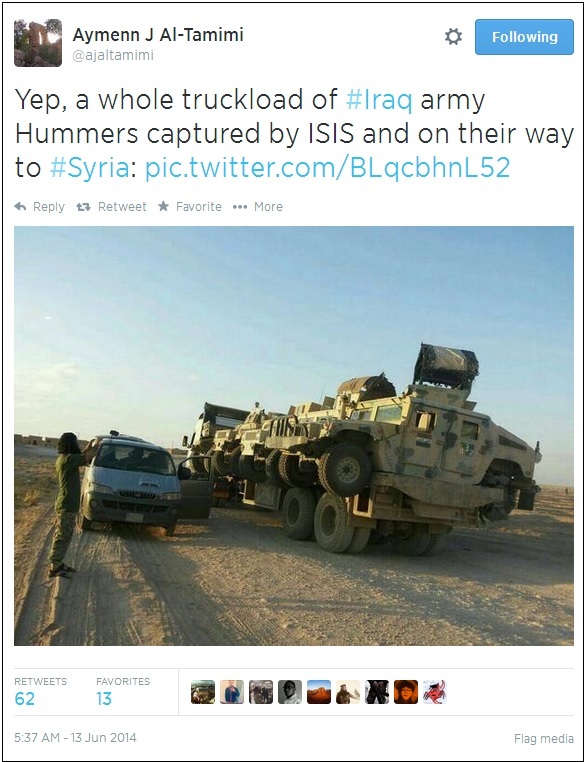 ISIS moved a truckload of captured Hummers out of Iraq to Syria in June. 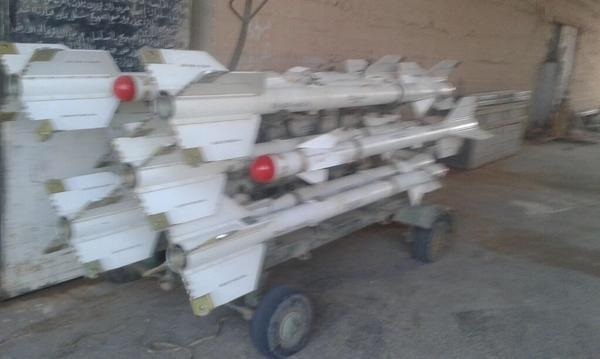 The Islamic terror group is putting together a massive collection of military hardware.